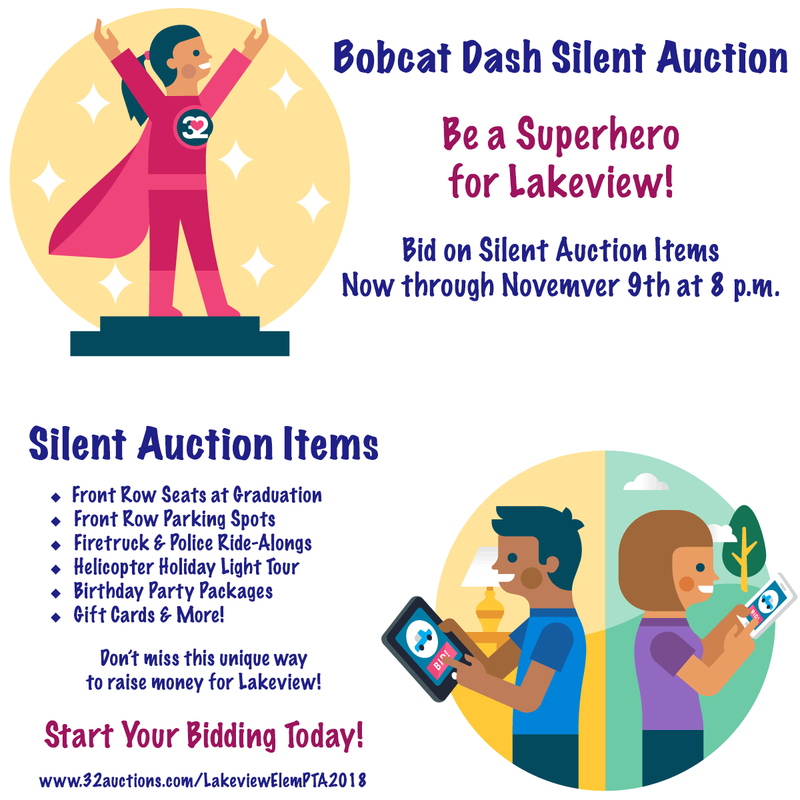 The Bobcat Dash and Silent Auction is Lakeview's major fundraiser for the year and helps the PTA, in collaboration with the school, to provide programs and activities for our students, parents, and staff. The proceeds go directly to Lakeview Elementary PTA to benefit PTA activities and Lakeview Elementary. Check back soon for a live link!